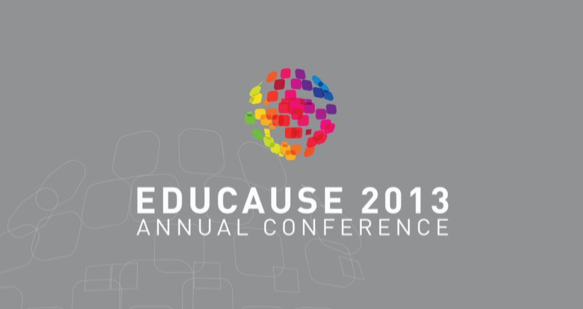 I was one of seven thousand participants that descended upon the Anaheim convention center last week for the three-day EDUCAUSE annual conference. The conference attracts educators, administrators and Information technology leaders from higher education institutions from near and afar; there were 52 countries represented. The conference is by no means limited to Information Technology topics. This year the conference featured 300 sessions within five categories —the majority of sessions I attended were within the teaching and learning track, and a handful in the leadership and management category. Though I usually attend conferences virtually, I chose the face-to-face option given that Anaheim is slightly more than a stone’s throw from where I live. I’m glad I did. I was able to experience the vibe of the conference, pick up on the buzz from other participants at lunch, in the exhibit hall, and impromptu meetings. I also was able to meet a handful of fellow bloggers, an added bonus. There are several good articles on the web summarizing key events and talks from the conference—I’ve included respective links at the end of this post. I prepared a summary of the conference via Slideshare [below], and included three themes from the teaching and learning track. Themes that I believe will be significant in higher education over the next few months, 1) competency-based learning, 2) personalized learning, and 3) disaggregation. In the Slideshare I also provide key takeaways associated with each. Fortunately, MOOCs are NOT on the table. In fact, of the 300 hundred sessions offered at the conference there were only seven or eight about MOOCs. I attended two of those sessions. Between the sessions, listening to other educators over the three days, I get the sense that MOOCs are not the disruptive force that the media has made them out to be. However, they have been catalyst for conversations about face-to-face and online learning, and the role of technology in higher education. The conference featured three first-rate keynote speakers, Sir Ken Robinson, Jane McGonigal author of Reality is Broken, and Paul LeBlanc, president of Southern New Hampshire University. Though all were good, my favorite session was Sir Ken Robinson’s talk on ‘Leading a Culture of Innovation’. Being a Canadian I love British humour and Sir Ken Robinson, a Brit himself, infused his dry wit throughout the talk. It was not recorded, though I wrote a post about it here, and Tara Buck of EDTECH wrote a good summary here. The exhibit hall was very large. There were rows and rows of exhibitors featuring vendors and providers servicing the education market, from LMS platforms, to lecture capture solutions to analytics software providers and more. There were over 270 vendors. Some of the platinum and gold sponsors had mini classrooms, seating areas with mod furniture and giant screens featuring demos of their product. Walking the hall I realized the amount of money committed to the higher education market—it is vast…and disturbing. Learning in the open—in a Massive Open Online Course (MOOC) for instance is somewhat like the Wild West of the 19th century—undisciplined, with few rules and no regulations. These same characteristics have been used to describe learning in a connectivist MOOC [cMOOC], a form of open learning where there is no set curriculum, process, or particular method. Learning in the open with the world-wide web as the classroom is unsettling for many and overwhelming for most. But the rewards are rich; personal and professional growth that is hard to achieve in a face-to-face setting. Definition – Open Learning: learning based on independent study or initiative rather than formal classroom instruction [Oxford Dictionary]. In today’s learning context, open learning encompasses connectivism; a theory of learning that identifies learning as a process of creating connections and engaging within a network. Connectivism considers the world-wide web a platform for learning, with its nodes representing connections that are people, information, images or data. A connectivist MOOC is an example of an environment created with some structure to facilitate open learning. Though learning in the open does not come naturally—one has to learn how-to-learn in an open environment. After participating in numerous MOOCs, it’s apparent that a very different and unique skill set is required; a different set of competencies than what is used in traditional learning environments. I recently shared strategies and tips for open learning in a webinar as part of a cMOOC, Open Online Experience, 2013. 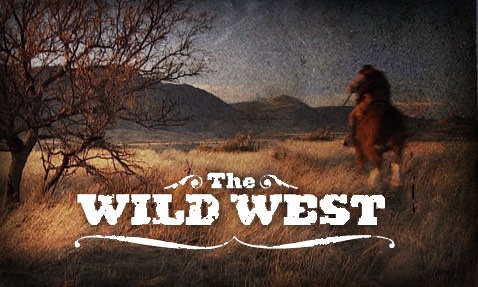 I’ve shared my slides from the webinar here, and outlined essential skills for participants of the open—the Wild West of learning. “I began this MOOC with the greatest of intentions…I found so much information however, that I am lost in the information overload. I think that I am posting in week three, but I am not sure.” Comment from a high school teacher enrolled in a cMOOC that illustrates what most participants feel like in their first [or even] second MOOC. It’s hard to imagine what education will look like ten even twenty years from now, but the need to adapt beings now. Though teachers and professors as subject matter experts hasn’t changed, nor will it anytime soon, the delivery formats for instruction and learning has. Contact North recently published ‘Seven Habits of the Professor of the Future’, an article that suggests the skills educators will need by 2020. The skills are varied, and face-to-face instruction is included. But note the variety of the skills mentioned in addition to face-to-face teaching. Note also the emphasis on collaboration—collaboration on a massive scale, and creating new resources using a variety media. These habits connect to open learning. Learning in the open is the new way to learn, create, collaborate, assess, and develop, personally and professionally. In practice however—what does open learning look like? Just as in traditional learning, this form of learning takes time and much effort, though tenacity, discipline and a keen desire to learn are traits of connectivism. Open learning is self-directed, where the learner sets his or her goals, creates a learning path, selects resources and tools accessible within a network. Within a cMOOC environment the learning experience is even richer, as a group of like-minded learners are learning collectively, connected together by a space or platform on the web, i.e. a wiki, blog or LMS platform. Making connections, both personal and conceptual are core elements of open learning. These latter skills are the most challenging, yet vital to open. During the webinar Learning in the Open with OOE13 we discussed these skills and examined challenges with open learning. The consensus was that open learning is different from what most of us were used to; it can be chaotic, overwhelming and confusing. But how-to-be successful with open learning can be learned. Strategies discussed are in the slideshare below. Learning in the open is non-linear, unpredictable and without guard rails that education institutions or companies create to structure learning in traditional settings. Learning in the open is the Wild West, a new frontier of learning, a new opportunity to grow and connect. Though I’ve shared here how to embrace open learning and experience the benefits, the Coles notes version are as follows: 1) reflect and blog consistently about what you are learning, and 2) share and engage with others via a social media platform of choice—add value by providing quality resources, links and ‘nodes’ of knowledge. This post features a collection of carefully selected resources specific to course design for online and blended courses. I’m in the process of building a bank of resources accessible from this blog geared to educators seeking skill development in facilitating and designing online courses. Previous posts featured resources specific to teaching online courses, and in this post I share four instructional design resources. Resources include a brief description that highlights the value of each and an icon indicating its type. For the list of previously featured resources and/or for the icon legend please refer to the resources tab of this site. 1) An excellent site created by Contact North to serve faculty and instructors of post-secondary institutions in Ontario, Canada is The Ontario Online Learning Portal. It is an open resource that provides numerous tools and information on the latest research and trends in online education. The site also hosts a series ‘Game Changers‘ which features case studies from institutions around the world that are implementing innovative methods in online education. The most practical resources for course designers can be found in the ‘Tips and Tools’ section. Here educators will find tools in downloadable formats such as the template to plan online learning, and 10 Principles to Select Technology. 2) Big Dog & Little Dog’s Performance Juxtaposition site is THE mother of all instructional design sites. Of all the ID sites I list here, I frequent this site the most, as do many others according to the list of accolades on the ‘about‘ page. It does feature advertising in the most annoying places on its pages, however the depth and breadth of the content make it worth the [minor] aggravation. A warning though, one can get lost on this site in the labyrinth of pages, though the tabs at the top of the page are an excellent guide to topics as is the site map with its Table of Contents. 3) This site—instructionaldesign.org, is a good reference site providing the basics of instructional design [ID] and learning theories. It includes a glossary of ID terms and a list of several instructional design models. What I find most valuable is the comprehensive listing of learning theories. Each theory is described in-depth; listed with each theory are its principles, application, and examples of the principles in real-world settings. It also includes references and links to related websites. 4) This PDF paper, I found on Avetica weblog, which appears to be a blog based upon a student’s research project [thesis perhaps?] about online learning [there is no ‘about’ page, so I”m not quite sure]. I found this paper Summary of Quality e-learning: Designing pedagogically effective web-based environments for enhancing student online learning in higher education on the blog, and it is worthy of review and consideration for anyone involved in instructional design. It describes a model for online course design I have not seen elsewhere—IDOL, developed by Siragusa (2005) after completing a study on effective design principles and learning strategies for higher education students. “Teachers and instructional designers can use it to design, develop, evaluate and refine their e-learning environments. The IDOL model (Instructional Design for Online Learning) is accompanied with 24 dimensions/ recommendations that accommodate varying pedagogical needs of learners as well as varying modes of course delivery; entirely online to online learning provided as a supplement to face to face learning. The model is based upon Reeves and Reeves’ (1997) model for creating pedagogically effective online learning environments. IDOL contains 24 pedagogical dimensions which are divided into 3 categories: analysis, strategy and evaluation”. 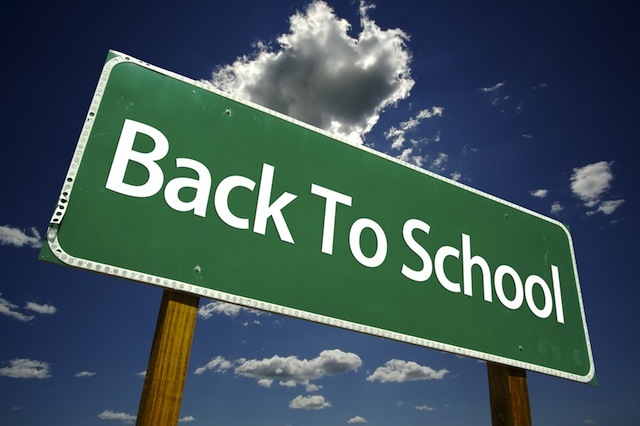 What better time than the week after Labor Day, the traditional back-to-school kick-off, for educators to embrace opportunities for professional and personal development (PD). Though for some just the thought of beginning a PD course of any kind is overwhelming, even stressful. The most frequently cited barrier to engaging in extracurricular learning activities is time; not having enough of it, not being able to find it, and wishing for more. Warranted too, given the frenetic pace of our current culture. This post explores why embracing an online PD experience, whether an un-course, a MOOC or other, is enriching, fulfilling and motivating. I also address the time factor, and suggest how to approach investing time for PD learning with a different perspective so it becomes stress relieving, not stress inducing. My original plan for this post was to share two PD learning opportunities that begin next week, Open Education Experience 2013, and How to Teach Online with Leeward College [both cMOOCs], but I decided to share first a viewpoint on PD that may be helpful for readers. I’ll will conclude though, with details on the two learning opportunities. For an overview of MOOCs, and the difference between cMOOCs and xMOOCs, read The Ultimate Student Guide to xMOOCs and cMOOCs from MOOC News & Reviews. The beauty of engaging in learning online within a community, in a MOOC format for instance, is that it’s driven by individuals’ learning goals, their contributions, and provides learning opportunities beyond what could be experienced solely in a face-to-face space. There’s also the added bonus of the opportunity to create a network of people to learn from and with, often referred to as a personal learning network. Yet learning this way should not be viewed as an extra activity on a to-do list. What makes PD successful is when learners choose to engage in experiences that inspire, that spark interest and motivation. Learning is not a chore when integrated within—with what you do, what you are passionate about. I’ll provide an example here from my experience to illustrate the point. This month I’m learning through Statistics in Education for Mere Mortals, from Canvas Network. I’m not taking this course because I love statistics, and I’ve already completed several statistics courses. But I chose to take the course because of a work project I’m involved with. I’m in the process of researching pedagogical methods and principles that are applicable to online learning environments, and at the same time studying participation patterns of MOOC learners. The course [which could be classified as a xMOOC], coincides time wise and content wise with what I’m working on now. The professor is not only teaching theoretical concepts associated with educational research, but is using the course participants for a research study about MOOCs. He’ll be sharing the results with the participants of the course. I benefit in two ways, 1) by experiencing the instructional methods used within the course which allows me to study pedagogy used in a given online course, and 2) by being able to review and analyze the MOOC research results. Thus, I find myself making time to invest in the course. I’ve also completed a few cMOOCs, connectivist MOOCs, which is a different experience from an xMOOC altogether. To clarify though, one experience is not better than the other, they are merely different. My cMOOC experiences have been expansive, social, even organic in the sense that my learning was developed through a series of varied connections that fit together to produce sometimes unexpected [learning] results. Each of the learning experiences I’ve described here work for me at a certain time within a given year. Though I invest in personal and professional learning for the most part year-round, it’s the type and level of participation that varies, and is dependent upon numerous factors including current work projects, personal commitments, etc. Professional development is most successful, when time is devoted to learning that aligns with one’s work, personal projects, interests, and/or passions. 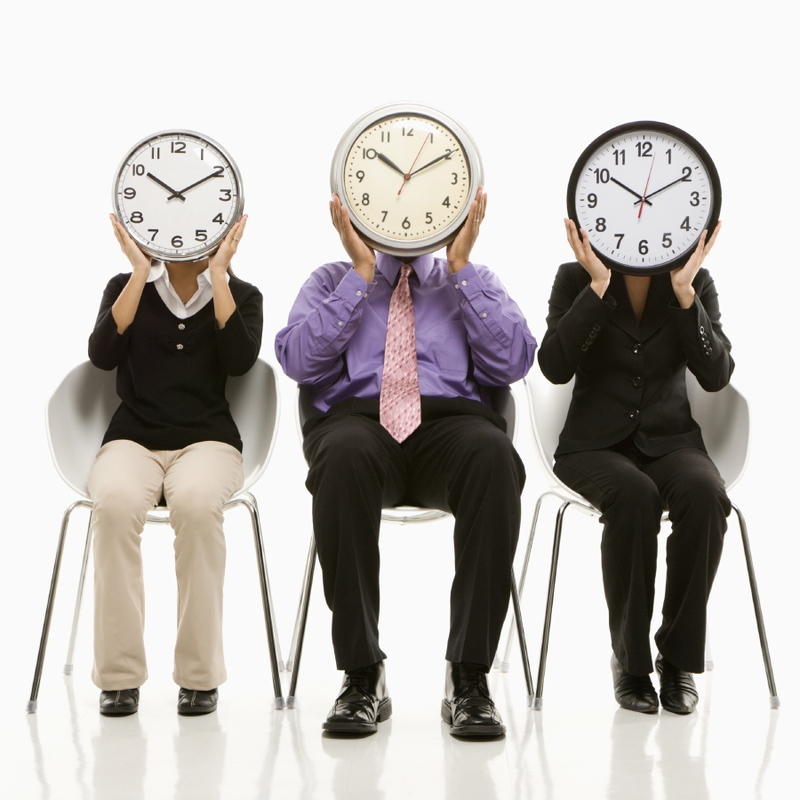 The result is, that rather than having to find the time for PD, it happens because we make time. Though I’d be remiss if I didn’t acknowledge that even with the best laid plans for PD, it can’t always happen. ‘Stuff’ can get it in the way—life happens. Having a strategy for learning though does support success with PD in the long run. There is a learning curve to learning effectively in an online environment — how to discern what to engage with, when and how. Even how to use technical tools associated with online learning, whether it be the course site, Twitter, a blog platform, etc requires time to learn. I could devote a whole post to this topic, and I will do so in the #OOE 2013 course, during a webinar I’m facilitating, “Success in OOE 2013: How to Make the Most of your Learning Experience” on September 18, 2013 (OOE 2013 calendar here). 3) write about what you are learning: blog, write articles, or keep a personal journal (though usually you learn more when you share). That’s only the beginning. I’ve included some resources to move beyond the quick and dirty at the end of the post. 1) Open Online Experience 2013 is a 10-month long learning experience that aims to provide participants with a rich, immersive experience into the study and use of educational technology in teaching and learning. It is a professional development program with a difference: it is open to any teacher or faculty member who has internet access, and it has been designed on a “connectivist” model. To register, click here. 2) How To Teach Online” is a massive, open, online course (MOOC) that takes a broad view of teaching online. This five-week MOOC is for instructors of all experiences who teach online. Whether you are new to online teaching or want to improve your craft of teaching, “How To Teach Online” is a great place to share, connect, and learn from others around the world. This is an open-access MOOC – no fees are required to join and participate. For this MOOC to be successful, we emphasize and are dependent upon, participant contributions and discussions as a means of exploring how to teach online. Your contributions are what makes the MOOC a success. Click here to register. It’s that time of year when educators seek fresh ideas and strategies to create meaningful learning experiences for their students. I too have plans for the upcoming school-year; one of my goals is to create a robust selection of useful resources accessible here on Online Learning Insights. This resource bank will be a list of links by topic targeted to professors, instructors and instructional designers looking for ideas, inspiration and/or skill development specific to online or blended learning and instruction. The resources are carefully selected; I’ve included only those that I refer to consistently, are of high-quality and support knowledge and skill development. This post [part I] is the beginning of the resource section—it will grow over time. If you have ideas for additional topics, or would like to suggest a resource, please do so by adding a comment to this post. Though there are a plethora of available resources specific to skill development for teaching online, I’ve chosen resources to share here that are targeted to educators that are in the developmental phase of teaching blended or online courses. 1. Shifting from a face-to-face setting to an online classroom requires not only a different skill set, by a different mindset. Georgian College’s Center for Teaching and Learning site includes excellent information on online and blended teaching skills for the novice instructor including this article—Key Shifts in Thinking for Online Learning. It’s a good starting point for instructors moving from face-to-face to the online classroom. 2. The most comprehensive resource for teaching online [in my opinion] is the COFA series, Learning to Teach Online produced with University of New South Wales (UNSW). The program features a series of videos [maximum of six minutes each] available on Youtube. The primary objective of the program is for viewers to gain an understanding of successful online teaching pedagogies. One of the twenty-five videos in the series is Planning your Online Class which explores the key elements educators need to consider when planning an online or blended class. 3. Teaching presence in the online environment occurs when students feel that the instructor is ‘there’. Though online presence sounds vague, it’s instrumental in supporting meaningful learning. This slideshare Understanding Teaching Presence Online provides an overview of how to establish presence and outlines why it’s essential. 4. Thanks to University of Minnesota State Colleges for this excellent mini-course on how to teach online, Getting Started Online, Advantages, Disadvantages and How to Begin. Open to anyone—this resource is applicable to novice and experienced educators. 1. Chico University created this site for instructors and designers of online courses with the concept of the Rubric for Online Instruction (ROI). It includes excellent tools for educators wanting to evaluate their own online courses and can be used for course redesign. Though it is geared to faculty teaching within a higher education setting, it can be adapted to other environments. 2. University of West Georgia created a webpage specific to rubrics and included resources about online instruction for faculty including the Five Star Rubric for Online Instruction. 3. This slideshare presentation, Rubrics for College – The Easy Steps Way, provides a good overview of rubrics that instructors can create for students—tools that provide clarity and guidelines for student assignments and assessments. The presentation covers the why, and the how of rubric implementation applicable to face-to-face and online environments. More resources specific to student rubrics to follow. Blended learning has several definitions, though overall the idea is that a portion of the face-to-face class time is augmented or replaced by online instruction. In most cases it involves reduced class time, but not always. Results from numerous studies show an increase in student performance with the blended format, more so when the curriculum is adapted and modified to maximize each instructional method. 1. 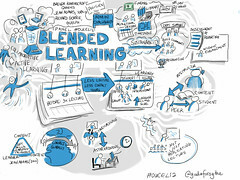 The Clayton Christen Institute gives an overview of the blended model for K-12 and higher education on its site in a section dedicated to defining Blended Learning. The pages include links to several research reports on Blended Learning specific to K-12. 2. This resource, the mother-of-all resources on blended learning from EDUCAUSE, is a comprehensive tool that provides links to numerous research reports on blended learning outcomes as well as how-to tools for educators wanting to implement their own blended learning programs. The Blended Learning Toolkit: Improving Student Performance and Retention also includes the Blended Learning Toolkit, a how-to resource provided by the University of Central Florida, is an open educational resource licensed under the Creative Commons Attribution-Non-Commercial-Share Alike license. 3. Georgian College is one of several higher education institutions implementing the blended model. The schools’ site provides an overview of the pedagogy associated with blended learning, and compares it to online and face-to-face instruction – Blended Online/Face-to-face Courses. Purdue University, another school recently implementing blended courses across campus, has a web page designed for its faculty, though it still offers helpful insights for educators of any institution. I’ve only just started sharing the many resources that I’ve collected, and in my next post, I’ll share resources on fostering discussion in online environments, learning theory—exploring how people learn, and finally, the pedagogy of MOOCs. The second post featuring resources for online instructors is available here. In this ‘Need-to-Know’ blog post series I aim to share noteworthy stories that speak of need-to-know developments within higher education and K-12 that have the potential to influence, challenge and/or transform the traditional model of education. Of the numerous developments last week, edX the MOOC consortium revealed startling data in a research paper that details behaviour patterns of students in the Circuits and Electronics (6.002x) MOOC. Educators involved in MOOC instruction or development will find this research insightful. Shutterstock, a company that provides digital images for a fee, launched a platform for tech courses under a subscription model, which may be a direction online learning providers will follow. Finally, I’ve included two new, and quite unique ed tech tools that may be of interest to K-12 and/or higher education instructors. When edX first formed, its president Anant Agarwal emphasized that one of the core reasons driving the consortium’s initiative was research— the platform would be used to analyze and share results of new educational methods afforded by technology. Up until this point there has been little discussion about courses and/or results from the edX platform, Coursera and Udacity have dominated the headlines. Yet edX should be taking a different path given its not-for-profit premise. And this week we did [finally] get a glimpse into what appears to be extensive research going on behind the scenes. The Open Access journal, Research & Practice in Assessment released the paper Studying Learning in the Worldwide Classroom Research into edX’s First MOOC. Over 90% of the activity on discussion forums resulted from students just viewing /reading what others students had written—these students did not post, or comment or contribute in any way to discussions threads. Perhaps we need to change our way of thinking about how students use discussion forums, since students that do contribute can enhance and deepen learning and comprehension for students that don’t/or are unable to contribute. Though these silent students may be considered passive, this may not be the case, nor should they be considered lurkers. These students may very well be learning and making sense of course material on their own terms. The demographics of the student body are notable. Over 155,000 students enrolled from over 194 countries, yet the the country that provided the largest percentage of students was the U.S. with 17% of the 155,000, followed by India at 8% of the total, the UK at just over 5%, followed by Columbia (4%) and Spain (2%). Only 622 students from China enrolled (less than 1%). These numbers suggest that language and culture are potential barriers to MOOC participation. The paper provides further details and data. Screen shot of skillfeed.com home page. Shutterstock Inc. announced the launch of an online learning marketplace [platform] featuring online instruction via videos for amateurs and professionals working with digital images and media. Skillfeed is similar to Khan Academy, but is for people looking to learn just-in-time skills needed for working with digital media. But, rather than a free platform, or pay-by-course model, it is a subscription based [and quite affordable] model. An appealing format that is easy to use for the busy professional or amateur that wants specific and high quality instruction, and is willing to pay for it.